Succulent, roasted spring lamb is an integral part of the Easter feast and a delicious option for the weekly Sunday lunch. In our opinion, British lamb is best as it has had the advantage of grazing in lush green fields and fells – its natural habitat – and free-roaming, healthy sheep mean tastier lamb. You simply can’t beat the delicate flavour of lamb in season and it’s a happy coincidence that young spring veg is available to buy too; vibrant peas and sweet baby carrots tossed in butter and herbs are a roast’s best friend. Here’s all you need to know about where each cut is from and how best to use it. A fattier joint than a leg, but when tender from hours of slow cooking, it’s one of the best value and most succulent, delicious cuts. Often stuffed and rolled, breast meat is economical and perfect for slow roasting. A succulent, tender cut that’s full of flavour, it’s the equivalent of beef sirloin. A whole loin is ideal for pan frying or roasting; grilled steaks are perfect for quick meals and chops are best when griddled or barbecued. For a deliciously comforting meal, add stock, mint and veg, slow cook for a few hours and the flavoursome meat will be so soft and tender that it falls from the bone. 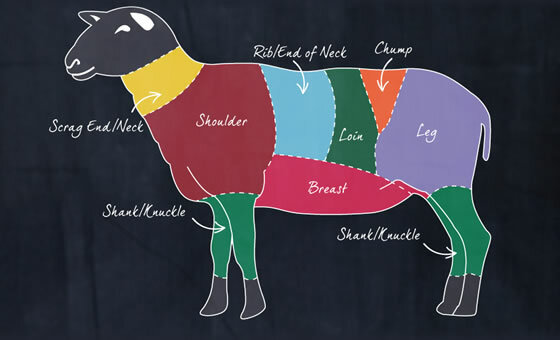 Full of flavour, a leg joint makes a fabulous roast – ask your butcher to remove the bones to make carving easier – they’re also brilliant butterflied and cooked on a barbecue. Leg steaks are delicious grilled, fried or barbecued. An old-fashioned favourite, traditionally served with onions, bacon and mash. Thinly slice and flash-fry or grill, taking care not to overcook or it will become dry. Usually prepared using the excess trims, mince is the most economical way to enjoy lamb. Try shepherd’s pie, moussaka, meatballs or mouth-watering home-made burgers enhanced with black pepper and mint. Also for stewing. This is cut from where the loin meets the leg. Can be cut into two chops and a small roasting joint. Alternatively, the whole chump can be boned and sliced across into steaks, or tied into a plump rump. Also ideal for stewing. On special occasions, a rack of lamb gives an impressive appearance cooked whole or can be trimmed into cutlets and grilled. For crispy fat on roast lamb, use a sharp knife to score a diamond pattern, place skin side down in a hot frying pan until golden, then roast as usual, taking a few minutes off the cooking time. 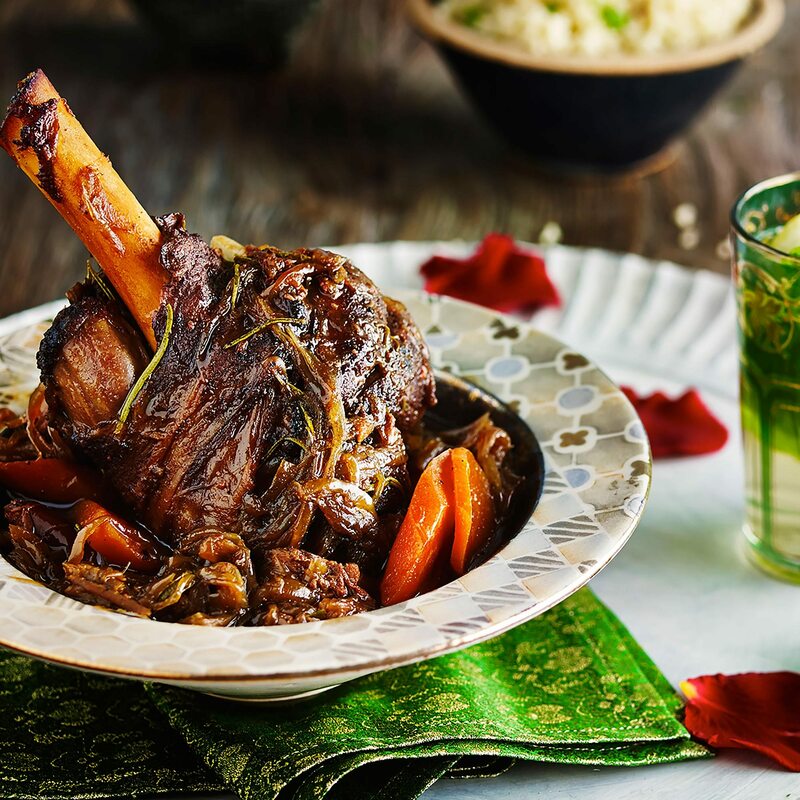 Mint, thyme or rosemary all bring out the flavour of lamb, as do coriander, tarragon and cumin, while marinating in an acidic liquid such as lemon juice or red wine will enhance taste and tenderness. 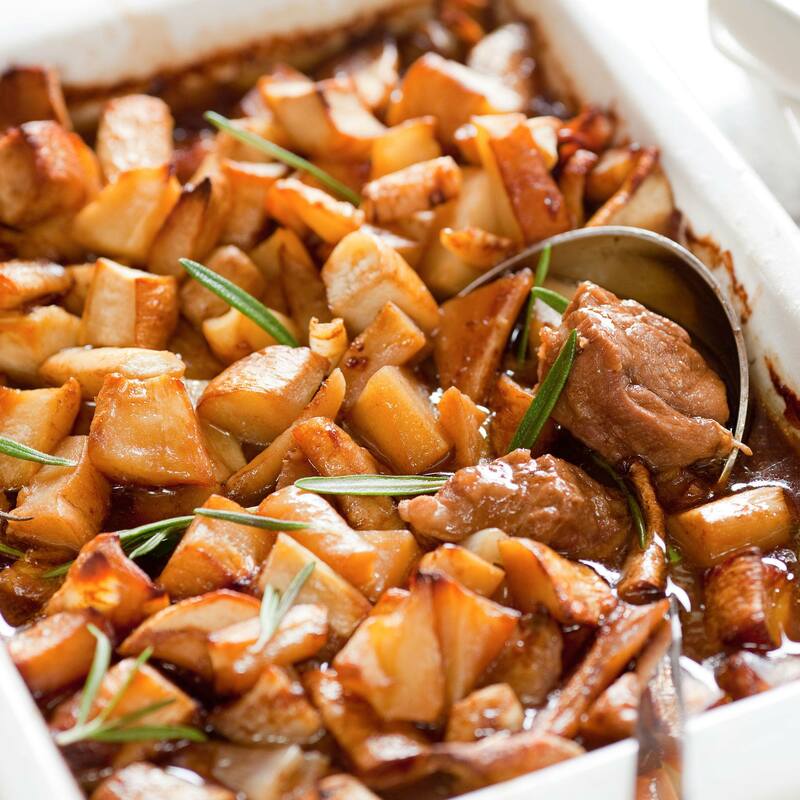 Make the most of cheaper cuts of lamb in stews and casseroles. Add aubergines, onions, red peppers, tomatoes and oregano for a Mediterranean vibe. Look for good, even marbling with small, creamy white flecks of fat throughout. This melts away during cooking to make the meat juicy and flavoursome.